This award-winning central Milton Keynes business centre provides a range of office accommodation, with all inclusive packages offering broadband, meeting room facilities, photocopying services, along with an outstanding break area and refreshments. Milton Keynes town centre provides an extremely high standard of retail and eating options, as well as great transport links all within a short walk of this location. A wide range of modern, modular office accommodation to suit the requirements of any business. The centre offers conference room facilities and secure 24 hour access. Workshops and industrial space are also available. Located near Bletchley in South Milton Keynes, the centre has excellent access to the M1. A complete range of self-contained office units close to Bletchley train station. 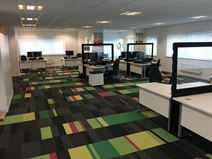 Full secretarial support and meeting room facilities, along with designated parking available Equipped to a high standard, with high-speed internet, CAT5 cabling and complete IT support. The site is secure, with individual key suite and intruder alarms, CCTV, and 24 hour key-code access. Bletchley and nearby central Milton Keynes offer an exceptional range of local amenities, while the train station provides good links to London, Birmingham and elsewhere. This modern business centre is well situated just off the A5 in Bletchley. Offering fully furnished office space arranged in five suites. A full range of business support services is available, and rent is inclusive of heat, light, power and business rates. Bright, contemporary office accommodation in Bletchley, south Milton Keynes. Flexible and modern, with on-site support team, 24 hour access and full car parking, as well as storage space available. Bletchley provides nearby local amenities, with easy access to the M1 and train links to London and Birmingham. Flexible, modern office accommodation in the stunning Victorian mansion in the historic Bletchley Park. The prestigious building offers full reception, mail and photocopying services, meeting room facilities, along with kitchens and an on-site café. The site is secure and alarmed, with ample free parking. Bletchley train station is a short walk away, while Bletchley town centre, and Milton Keynes city centre offer a complete range of amenities all close by. A number of flexible, fully managed office units available close to central Milton Keynes. Located in a contemporary, courtyard-style complex, with easy access to Milton Keynes train station, offering frequent services to London and Birmingham. The nearby city centre offers a complete range of amenities. Contemporary office spaces within a purpose-built facility. Serviced and equipped to a high standard, with meeting /conference room facilities (including video conferencing), air-con, complete reception and on-site support, 24 hour access and on-site car parking. Located in Milton Keynes, close to the M1, with frequent direct rail services to London Euston and Gatwick airport, and the city centre's wide range of shopping, restaurant and hotel facilities. This centre is based near to both Bletchley and Milton Keynes. The space comes with a number of useful amenities, not least its management team which can offer both administrative and IT support for tenants. Other amenities include 24 hour access, kitchen facilities, toilet facilities(both of which are cleaned every day) and car parking. On offer too are broadband and digital phone line packages, starting from £10 a month. Tenants also benefit from a great location, just a 12-minute drive from Milton Keynes train station, where there is direct access to London Euston, Birmingham New Street and Watford Junction. 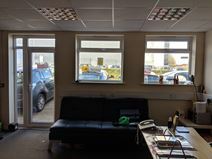 This office space is situated in an industrial area, with great transport links and local amenities. The office unit was refurbished under five years ago, providing modern features to suit the needs of your business. The office space has two large windows, allowing lots of natural light to flow into the work area. The office space can be accessed 24 hours a days and has parking outside the front of the building. A brand new business centre offers a complete and flexible range of work spaces in a secure landscaped environment close to the heart of Milton Keynes. A variety of office suites are available, as are studios, light industrial and commercial workshops, and distribution/storage units. The centre provides full business support, with meeting/ conference room facilities, and virtual office packages. Excellent transport links, with the nearby M1 giving easy access to London and Luton airport. Based just a few miles from Milton Keynes' town centre, this property is comprised of 3,500 square feet of office space that is under development to provide offices of the highest quality. The rent is fully inclusive of business rates, utilities, IT etc. at just £250 per person, per month. The building is secured 24-hours and features kitchen facilities as well as an on-site cafe. Milton Keynes Central and Wolverton railway stations are both less than a ten-minute journey by car. This centre is ideally located a short walk from the popular Milton Keynes shopping and restaurant mall. 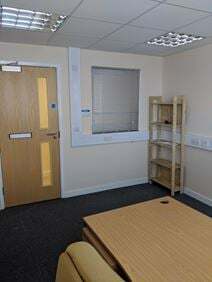 This centre provides Grade A office accommodation. Offices are light and spacious, and a full selection of amenities is available to clients. Milton Keynes Central Railway Station is well serviced, with trains running to London Euston in just 20 minutes, as well as to Manchester, Birmingham and Glasgow. A stunning, modern building provides a variety of bright, spacious and high quality office space in central Milton Keynes. Fully furnished and refurbished to a first class contemporary finish. The location offers a complete range of excellent retail, restaurant and hotel options, while giving easy access to London and the rest of the country via both Milton Keynes Central Railway Station and the M1. A superb business centre provides a flexible range of office accommodation with a prestigious central Milton Keynes address. Fully furnished and serviced, with complete on-site parking and meeting/ conference room facilities. Close proximity to the M1 and railway station ensures great transport links, while the city centre offers a high standard of local retail, restaurant and banking amenities. Short term licenses available for instant occupation. Various office spaces are available at this centre, available immediately on flexible terms. This modern office building is close to restaurants and hotels, and enjoys good transport connections and excellent parking. 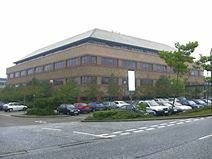 This office space is spread over two floors in a business park setting in Milton Keynes. The 38 office suites are air conditioned and currently going under refurbishment, due to finish end of April. The building has many great facilities, such as an on-site manager and receptionist, an on-site cafe and high speed internet. The centre is located nearby to great road links and public transport. The work space has unrestricted parking on surrounding roads. This centre provides a range of bespoke packages to suit the needs of your business. Suites are fitted out with the latest technologies, and the rooms are light and airy. A range of amenities is available to tenants, and the centre is situated in a lively area for business and leisure. A range of high quality, ground floor office spaces close to Milton Keynes city centre. Air conditioned, with kitchen and meeting/ conference room facilities, and offering outstanding lake views. Milton Keynes city centre provides an exceptional range of amenities extremely close by, while the easily accessible M1 gives excellent transport links to the rest of the country. Flexible, serviced offices in a prime central Milton Keynes location. Within walking distance of Milton Keynes train station, which offers frequent fast services to central London and to Birmingham. Available on flexible license agreements on a temporary or long term basis, with meeting rooms and virtual office packages also available. Open plan office space with passenger lifts extensive car parking available. Located in central Milton Keynes just a short walk from the main train station. Close to the A5 and is a short drive from the M1 with many local amenities surrounding the building. 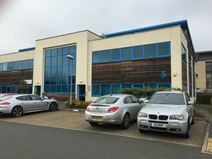 A centrally located building in the middle of the city of Milton Keynes, accessible by frequent public transport links, including close access to main motorways. You'll find this fully equipped, modern building fit with standard offices, virtual offices, meeting rooms and hot desking to suit your different needs. Offices can be let out on short or long term contracts depending on your demands and the location of this building is ideal for the office environment. Within close distance you'll find local bars, restaurants, cafes and recreational hubs to offer you that out-of-office relaxation for you, your colleagues and potential clients you want to entertain. 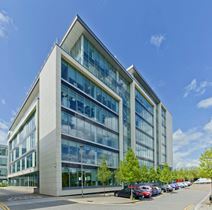 Fully furnished offices available in a prestigious, high spec building recently constructed in central Milton Keynes. A complete range of office accommodation available, equipped with air con and state of the art communications, including limitless bandwidth access. The city provides an exceptional set of amenities within walking distance, with the main line station minutes’ away offering fast services to London and Birmingham, and the M1 motorway in close proximity. Offering a range of facilities, this centre is well located for access to Junctions 13 and 14 of the M1, meaning travel to London and further afield is easy. Offices are fully furnished, and the centre offers 24-hour access, printing and copying facilities, secure parking, meeting rooms and WiFi. Nearby is Wolverton Railway Station, where there are services running to Birmingham New Street and London Euston. 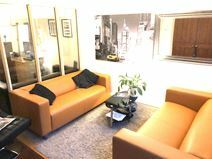 This high-specification office space can accommodate up to 10-12 people and is only a 15-minute walk from the train station, making central London easily accessible. Situated in a bright, busy and vibrant area, the space is accessible 24-hours a day. There are amenities on-site which include meeting room availability, IT support, access to a kitchen, showers, a security system, and an entry phone system. This centre has easy access to Milton Keynes Central Railway Station, which is just a 20-minute walk away and offers direct services to London Euston, Birmingham New Street and many other destinations in the UK. Accessible 24-hours a day for maximum flexibility, there are a range of on-site facilities, including break-out and lounge spaces, meeting rooms, access to a kitchen and all-inclusive billing. Located in the heart of Milton Keynes, just a 10 minute walk from Milton Keynes Central station, you'll find this modern, unique workspace that offers everything and more that you'd expect from the modern working environment. With an on-site cafe serving delicious food and external terrace that features a ping-pong table, you'll find this space provides you with that extra motivation to help your business grow, thrive and expand! Easily accessed by the M1, under an hour from Heathrow and accessible by many public transport routes, you'll find this location is perfect wherever you're travelling from. Surrounded by an abundance of pubs, restaurants, hotels, theatres and galleries, you'll find there's plenty to do for your after work activities!